Sri Lanka is known for traditional dance styles with impressive costumes and rhythmic music. They have their origins in centuries-old rituals and ceremonies. There are three main styles, which differ in body movements, costumes and rhythmic background; The Kandyan Dance in the Highlands, the Low Country Dance with great influence through spiritual rituals and the Sabaragamuwa Dance from the area around Ratnapura. In the north of Sri Lanka, however, the dance was primarily influenced by the South Indian Tamil dance history. 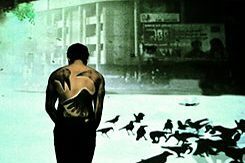 In 2010, the Colombo Dance Platform was established by the Goethe-Institut Sri Lanka and the Forum for Contemporary Dance to promote contemporary dance in Sri Lanka. The biennial platform creates space for artistic development, a forum for discussion between artists with diverse backgrounds and an interested audience. One aim of the event is to present and reflect on the past, present and future of dance and choreography. The platforms were curated by international and Sri Lankan dance professionals. 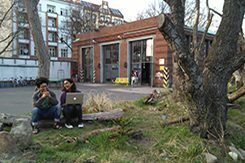 From the acquaintance of the Sri Lankan and German dancers Venuri Perera and Lea Moro on a past dance platform, the idea for a German-Sri Lankan co-production has developed, which took place in 2018. In 2017, a choreography camp was held for the first time, in which dancers and actors learned various methods for the conception of choreographies with the help of international mentors. The Goethe-Institut supports the network of independent performance artists in Sri Lanka and aims to intensify the local and international view of this network. Based on this, between November 25 and December 3, 2018 a Residential Dance Camp in Kalpitiya will take place. Mentors from Sri Lanka, India and Germany will advise the work of up to 10 local junior choreographers. A particular focus of this year’s camp is on involving young choreographers from different parts of the country. The Goethe-Institut supports the network of independent performance artists in Sri Lanka and aims to intensify the local and international view of this network. The Choreography Camp took place in Kalpitiya from November 25 to December 1, 2018. Mentored by Sara Mikolai (Germany), Deepak Shivaswamy (India), Venuri Perera (Sri Lanka), Sudesh Mantillake (Sri Lanka), the Choreography Lab has given 16 young dance artists from all over Sri Lanka the opportunity to participate in a 7 -day intensive workshop. The Choreography Camp took place in Kalpitiya from the 4th to the 10th of December. 15 dance and theatre university students, choreographers, dance teachers and theatre makers gained new knowledge and practical experience about various developments in choreography. The Colombo Dance Platform 2016 titled Shakti: A Space for the Single Body took place on the 30th September, 1st October, 8th and 9th October. Initiated, funded and presented by the Goethe-Institut and curated by Venuri Perera. 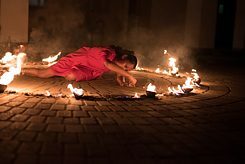 In December 2010 the Goethe-Institut Sri Lanka invited performing artists to showcase their latest productions in the fields of dance and choreographic theatre. The selection of companys and solo artists was carried out by an experienced dance curator, the Singapore and Thailand based dramaturg and producer Tang Fu Kuen.